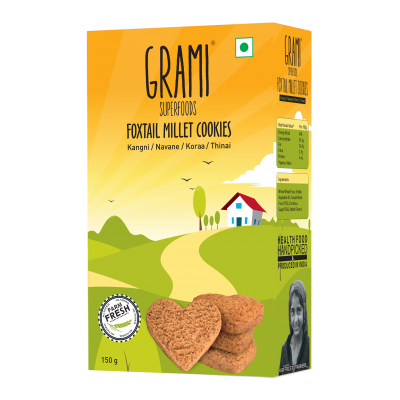 Made from farm fresh and naturally grown millets. 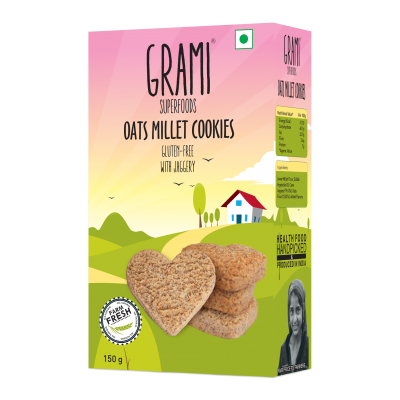 Millets for our products are sourced from organic certified farmer federations. 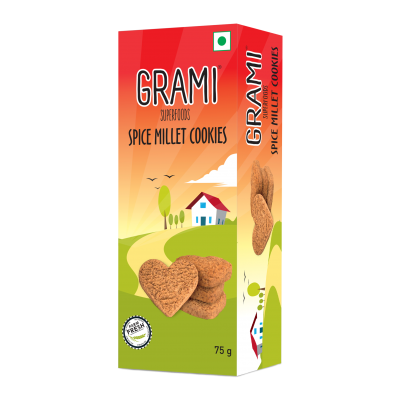 These cookies contain the health benefits of having spices like chilly, coriander, jeera, sesame seeds in addition to the millets. 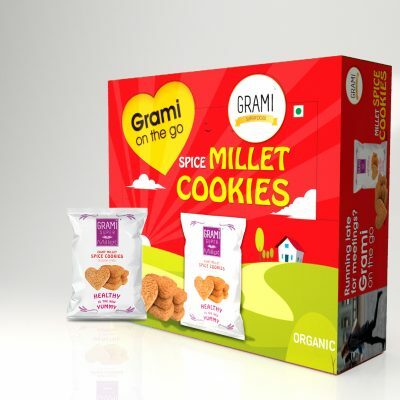 Spice millet cookies rich in essential oil, phytochemicals and anti-oxidant properties. 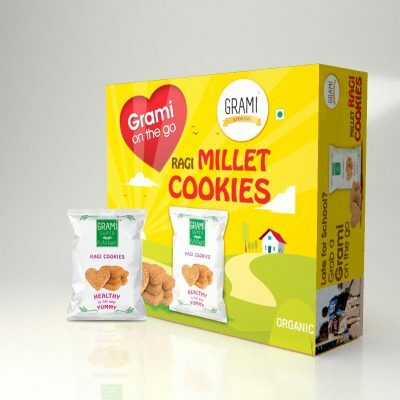 Healthy snack for the entire family. 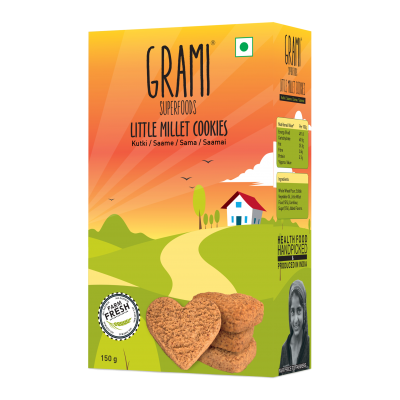 No Baking Powder, No Soda, No Raising agents, No egg. 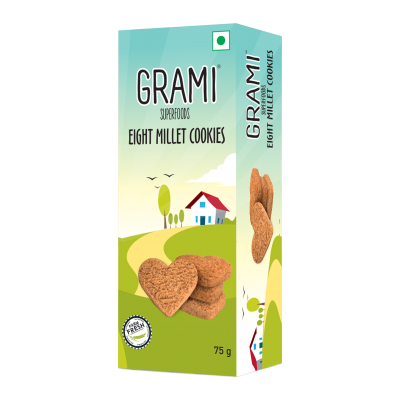 No added preservatives, artificial colors or flavors. 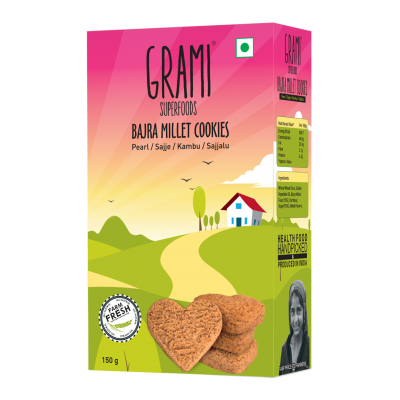 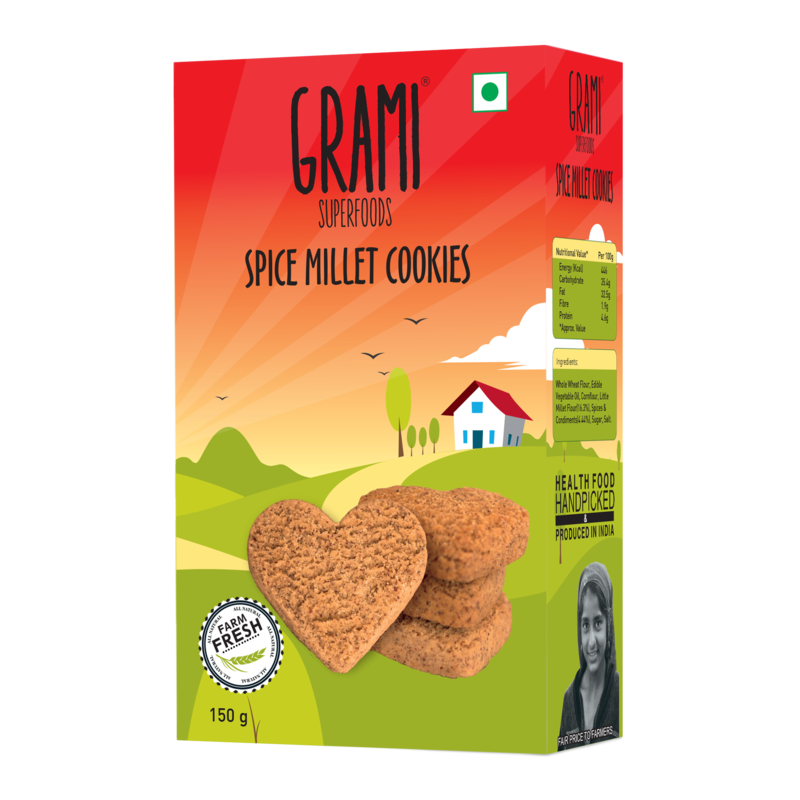 Spice millet cookies (Single serving Pack), 360g.